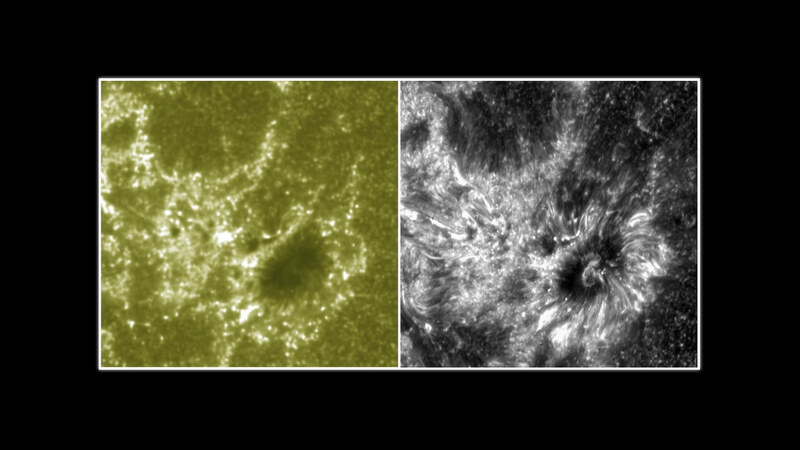 NASA’s Interface Region Imaging Spectrograph (IRIS) took its first images of the Sun, revealing the mysterious lowest layers of the sun’s atmosphere. IRIS is a NASA Small Explorer mission that launched from Vandenberg Air Force Base, California, on June 27, 2013. IRIS’s capabilities are uniquely tailored to unravel the interface region. Understanding the interface region is important because it forms the ultraviolet emission that impacts near-Earth space and Earth’s climate. Energy traveling through the region also helps drive the solar wind, which during extreme space weather events near Earth can affect satellites, power grids, and global positioning systems, or GPS. The IRIS Observatory was designed and the mission managed by Lockheed Martin. The Harvard-Smithsonian Center for Astrophysics in Cambridge, Massachusetts, built the telescope. Montana State University in Bozeman, Mont. designed the spectrograph. NASA’s Ames Research Center in Moffett Field, California, provides mission operations and ground data systems. Goddard manages the Small Explorer Program for NASA’s Science Mission Directorate in Washington, D.C. The Norwegian Space Center is providing regular downlinks of science data. Other contributors include the University of Oslo in Norway and Stanford University in Stanford, California. 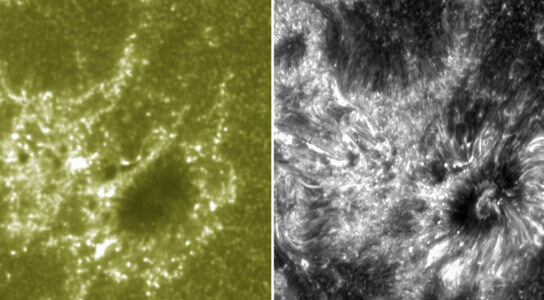 Be the first to comment on "IRIS Reveals First Glimpse of Sun’s Mysterious Atmosphere"